“The proverbial straw that broke the camel’s back for Nyako were the APC Congresses in the state and the local government election in which he imposed his men, sidelining all the other political gladiators, in the bid to put his son in a pole position to secure the party’s gubernatorial ticket. Curiously, it did not occur to Nyako that he needed to have members of the State House of Assembly on his side“. The lesson from the story is that, given constitutional constraints and the strength of their institutions, there are limits to what a United States President can do for himself when confronted with personal financial challenges. And that is where the president of an African country, especially a country like Nigeria, is believed to have more ‘powers’. But it is not only the president who commands such ‘powers’, it is anybody who holds executive office at any level in our country. Therefore, under such a system that reeks in arbitrariness, it is easy to understand why Nigeria is today trapped in the vortex of political crisis: The desperation that is driving the struggle for power both at the federal level and in the states should be understood within the context of who controls the public purse. It is also with this background that we can properly situate Tuesday’s impeachment of Admiral Murtala Nyako (rtd) by the Adamawa State House of Assembly. As to be expected, there are already many conspiracy theories about who instigated what happened in Yola and why; with the usual suspect being President Goodluck Jonathan. Yet, he is being given the credit he does not deserve because I have it on good authority that the impeachment move nearly collapsed at the point when some presidential do-gooders intervened to insist that the deputy governor, Mr Bala Ngillari be spared. The point is that Nyako lost his job because he ran Adamawa State Government like an extension of his Sebore (EPZ) Farmswith his four wives as “executive directors” and his first son, Abdulazeez the “chief operating officer”. Before I continue, I need to state clearly that I am not in any way exonerating the Villa from the fate that befell Nyako, especially since we have seen from what is going on in Borno State how power is being misused in promotion of a dirty political agenda. At a time hundreds of innocent Hajj pilgrims were denied the usage of the Maiduguri airport, and were forced to travel all the way to Kano to board their flight to Mecca, that same airport was made open for former Governor Ali Mudu Sheriff just because he was declaring for the ruling Peoples Democratic Party (PDP). A leadership that would display such partisan recklessness is capable of anything but there is more to the Adamawa story than what the All Peoples Party (APC) chieftains would want Nigerians to believe because it is essentially a local issue. Notwithstanding the fact that I do not subscribe to the theory that the Adamawa lawmakers acted at the behest of Aso Rock to sack Nyako and deputy, I am also aware that they did not take the decision in the public interest. In fact, I understand that at a recent meeting with a governor who tried to broker a peace deal, the lawmakers gave details of how Nyako and family had been “eating alone”, forgetting them in the House of Assembly. Now that the lawmakers have taken over completely as both the executive and the legislature in Adamawa, I don’t envy the people of that state, especially since the monthly allocations from the Federation Account will now be at their disposal to “appropriate” and spend! That Adamawa has presented a political logjam for the nation is not in doubt. A new gubernatorial election has to be conducted within 90 days in a state that has been battling with a serious security challenge aside the legal issues that have been thrown up and may end in court. Yet if there is anybody that should take the blame for the tragedy, it is President Olusegun Obasanjo. In 2006, there were nine men seeking the PDP ticket for the state and they included the late NLC President, Comrade Pascal Bafyau; Dr. Jonathan Zwingina (then a senator); Alhaji Adamu Moddibo; Alhaji Awwal Tukur (Bamanga Tukur’s son then in the House of Representatives); Mr Joel Madaki; Alhaji Dahiru Bobo; Alhaji Aliyu Kamal and Mr Saibu Kaigama. Apparently because he wanted someone who would checkmate for him then Vice President Atiku Abubakar at his home state, Obasanjo brought out Nyako who was handed the party’s ticket and went on to win the subsequent election. However, Nyako’s problem began shortly after he took over power when he started running what was then dubbed a government of “family and friends”. Interestingly, not long after, the “friends” in the “business” were edged out leaving only Nyako and family. I recall several crises in the state that were brought to the Villa and at a point the late President Umaru Musa Yar’Adua had to detail Dr. Jonathan (the current President) to be handling the reconciliation efforts. One constant in the Adamawa debacle, even back then was that Nyako’s first son, a Lt. Commander in the Navy who was supposed to be at his duty post, was practically running the state with his mother and step mothers. The younger Nyako would later resign his commission to take active role as helmsman of a “special project unit” cleverly created by his father. And in his bid to make that beloved son succeed him, Nyako also begun to decimate all the power centres in the state: From Atiku to Professor Jubril Aminu to Alhaji Bamanga Tukur (who governed the old Gongola State comprising the current Adamawa and Taraba States) to Brigadier-General Buba Marwa (rtd) to Boss Mustapha to Boni Haruna to Zwingina et al. However, with the 2012 emergence of Tukur as PDP National chairman, the equation began to change in the state. It is indeed noteworthy that Nyako, with all his military experience, was fighting on many fronts at the same time. For some inexplicable reasons, he took on President Jonathan by playing the politics of expediency over Boko Haram, saying things he ought to know he could regret. He then extended the battle to the Chief of Defence Staff(CDS), AirChief Marshal Alex Badeh, who incidentally hails from his state, publicly shunning a handshake with the man. So at the end, it was not unexpected that the presidency would capitalize on Nyako’s travails to send “Baba Mai Mangoro (BMM)” to political Siberia. 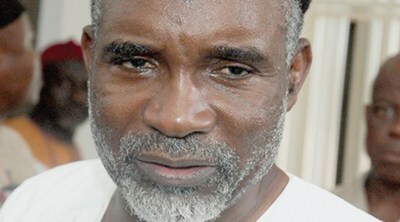 The proverbial straw that broke the camel’s back for Nyako were the APC Congresses in the state and the local government election in which he imposed his men, sidelining all the other political gladiators, in the bid to put his son in a pole position to secure the party’s gubernatorial ticket. Curiously, it did not occur to Nyako that he needed to have members of the State House of Assembly on his side. That is why all the theories being propounded by the APC leaders about the president begs the issue. That 18 of the 25 lawmakers in the State would be opposed to him says so much about the kind of government Nyako was running. Therefore, as I argued in my piece of last week (http://www.thisdaylive.com/articles/a-song-for-apc-igo-mewa-lori-tabili-8230-/183150/), the APC people need to sit down and ask themselves some hard questions if they are still serious about 2015. However, we as a nation also need to ask ourselves the hard questions about the nature of our democracy. Adamawa is a poor and troubled state that has come under emergency rule because of the activities of insurgents. There are challenges of developments and the education of its young population is now threatened by Boko Haram. But these are not the issues that dominate discussions in the state. The whole crisis that led to the impeachment of Nyako is about the control of the monthly allocation accruing to the state from Abuja. Yet Adamawa is not alone. The message from that interjection is simple: Public service is now about the projection of private interests. That is why whatever the theory being propounded by the APC, the fact of the matter is thatNyako impeached himself. A governor with such a narrow and primitive conception of power and patronage is lucky to have stayed in power for as long as Nyako did. But it is important for his colleagues and those who may be rejoicing in Abuja that they have seen off another political enemy in their cold calculations for 2015 to be more circumspect. At every level of political responsibility, elected leaders must learn the hard lesson that success in public office depends on the ability to mediate the imperatives of enlightened self-interest in a manner that does not undermine the primacy of public good. We may not expect the APC leaders to exonerate the PDP henchmen from Nyako’s reversal of fortune and by implication that of their political party. But they must begin to set a higher standard of performance and probity for their elected officials if they want the Nigerian public to rate the opposition party higher than the wobbly ruling party at the centre. That is the challenge confronting APC today and time is running out!